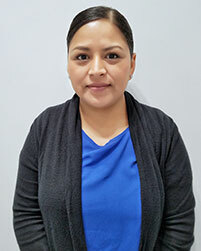 Irma has been in the optical field for 4 years and brings 14 years of customer service experience to our practice. She enjoys assisting patients by conducting preliminary exams, visual field tests, as well as other medical tests or photos needed by the doctor. She can also help you by setting up appointments and verifying insurances. In her free time she enjoys spending quality time with her family.